What do you remember about the American movie It Happened One Night? For the lovers of the cinema, this romantic comedy, produced by Frank Capra in collaboration with Harry Cohn; tells us a story about devotion and the way principles go in contrast with the morals of society. On weekend, find a special moment to look again or for the first time to one of the last romantic comedies created before the MPAA began enforcing the 1930 production code in 1934! The plot is based on the short story ”Night Bus” by Samuel Hopkins Adams. Trying to escape from her father’s thumb; Ellie Andrews (Claudette Colbert) needs to reach her independence. Falling in love with the reporter Peter Warne (Clark Gable) becomes a sign of maturity. When freedom meets devotion through a naive and spontaneous perception in life, delight appears. Believe it Or Not, we are proud to announce you that one of the Miniature Oscar Statues is present nowhere else than in Amsterdam, at Ripley’s Believe it Or Not Museum. Placing yourself in the center of the world, having an idea of the diversity Robert Ripley encountered while travelling in 200 countries in 20 years is something you can experience in this place. Last but not least, try to catch a sight and discover which ones of the Oscars can be found inside because it can be really close or far away from you! On February 27, 1935, at Baltimore Hotel in Los Angeles, when the Oscars were presented, Colbert was not present. Collbert resembled a lot in her real life with her character Ellie Andrews. As she didn’t expect to win, she was waiting at the railway station for a train to New York. After the announcement that she had won, the academy officials rushed to the station to bring her to the ceremony. At the moment of her arrival, the ceremony was awarding Shirley Temple, a juvenile Oscar. Organisers had to rush to present Colbert with her Best Actress Trophy. After posing for a few pictures, Colbert headed back to the station where the train had been held for her. 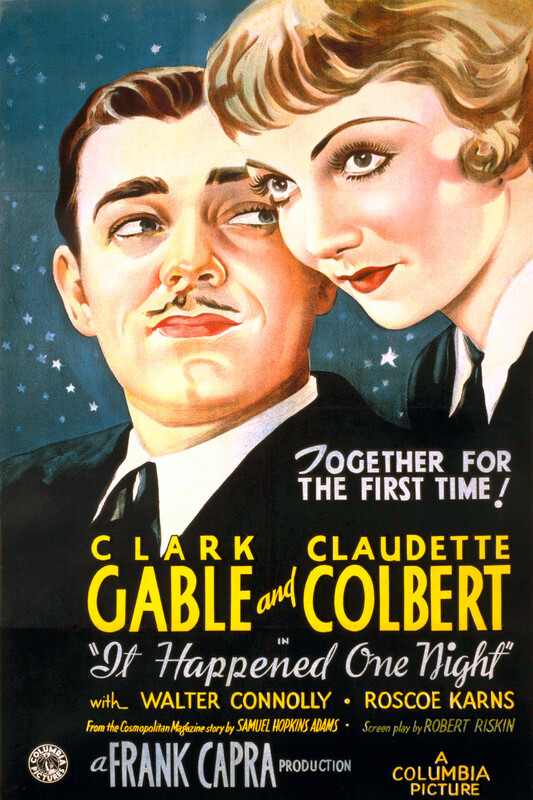 Believe it or Not, It Happened One Night was so popular that, after the scene in which Gable takes off his shirt in front of Colbert and reveals his bare chest; the sales of men’s undershirts were said to have gone into decline! Furthermore, if you’re curious to see a version of digital restoration of this film; done in 2013 by Sony Colorworks, feel free to have a look on it!